IT’S THE FINAL COUNTDOWN! 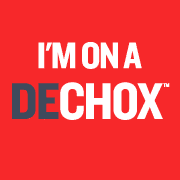 There’s just one week left until we take on the nation’s first ever DECHOX! In March we are chucking the chocolate to help the British Heart Foundation fund its lifesaving research. And that’s why we need your help. Thanks a million chocolate buttons. Ps. Help me chocolate spread the word by sharing my JustGiving page on Facebook.